iPhone has no free space to add more app or photos? Feeling trouble in saving your important files again and again? Well, you don't need to worry about these small things again. Choose Umate Pro and be the perfect administrator to control your iPhone's storage as per you! Continue reading to know more. Part 1: How to Clear Storage on iPhone with Umate Pro? Part 2: How to Clear Storage on iPhone Manually? One of the most trusted iOS erasers from iMyFone, Umate Pro is a renowned product specially designed to let iPhone users maintain a hold on their privacy and storage issues. Evidently, the call logs, the cache, the apps, the safari history and any other things that you delete on your iPhone don't exactly get deleted to full, its traces remain there in your machine making it restorable and trackable with the use of a professional software. On the other hand, Umate Pro deletes everything permanently, no professional software can detect or restore its deleted files ever! It permanently deleted app data and cache to provide you more space and sort out the storage issues. 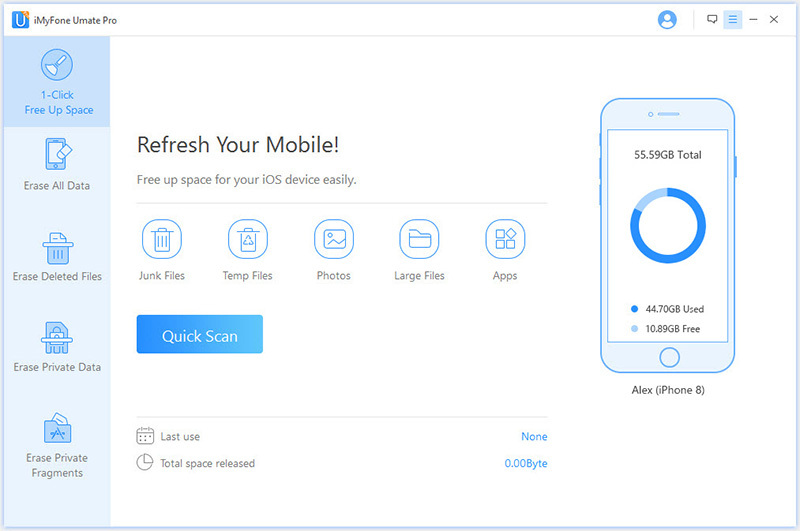 Cleans junk, temporary files, and unused apps just in a click to let you enjoy more space and operation speed. Cleans all your private data completely that no software can ever recover. 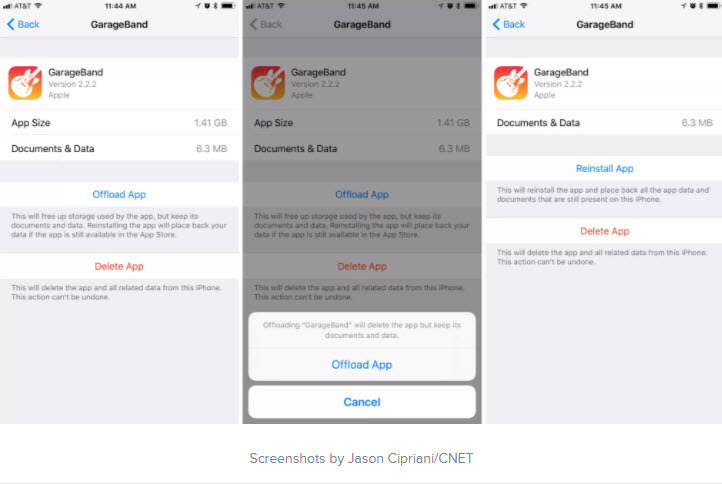 Even, it removes all the traces of third-party apps to full. Completely deletes the deleted data and its temporary files with no traces left for recovery. Erase all private fragments of your third-party apps like WhatsApp, WeChat, Viber, Kik etc. to secure your privacy. Connect your iPhone to PC and Launch Umate Pro. Choose Quick Scan to analyze the status of your iPhone. Now you can see the status for all junks, temporary, cache files unnecessarily consuming your space along with the suggestion to delete large apps or files to save more space. Click Clean after whichever files you decide to remove. It's done! How to Clear Storage on iPhone Manually? 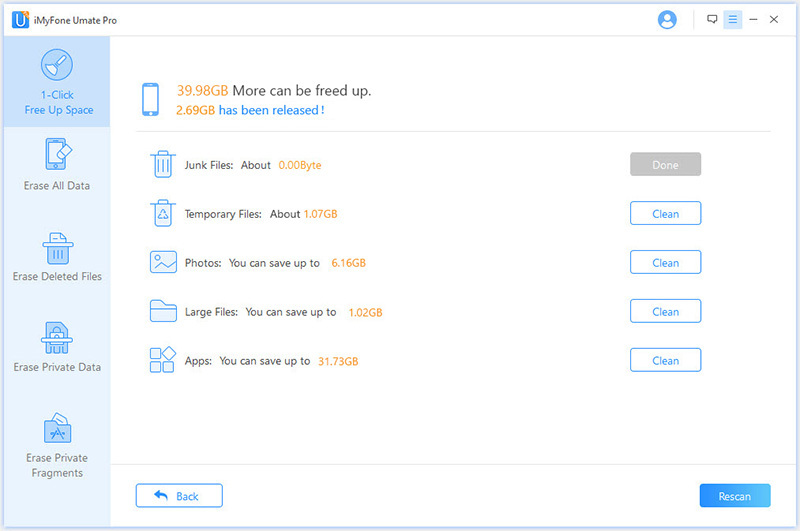 While Umate Pro is the best option available for you, you can definitely delete (not permanently) the apps for files available in your iPhone to boost the storage without deleting apps' documents and data. Analyze for the apps that are not in use and unnecessarily filling your iPhone's memory. Or you can also know about them by going to Settings>General>iPhone Storage. Tap any App you want to offload. Then Click "Offload App". If you want reuse the App, simply click "Reinstall App". Photos and videos are always occupied large space of iPhone storage. 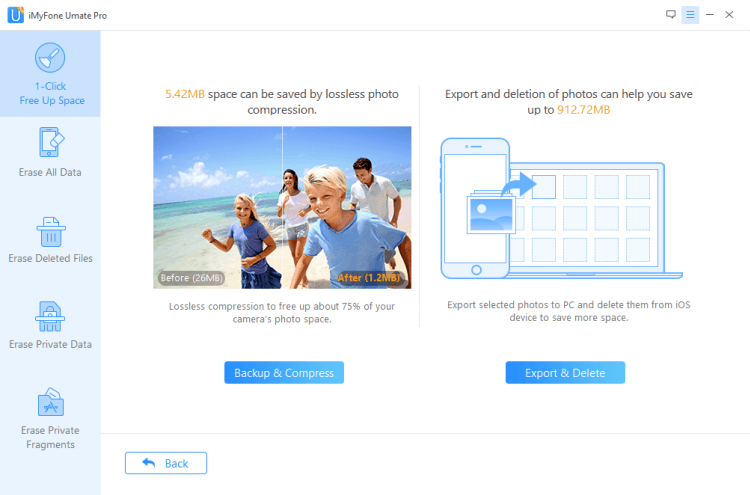 To delete photos, check the ways to backup and delete them to clear storage on iPhone. The most simple way is to visit Photos and delete all duplicates, photos or videos that are no longer important by selecting them one by one or by date. If important, you can delete them from the device and save them all by using "Photos>Export & Delete" on Umate Pro. If you want to keep them on iPhone, but free up space at the same time, "Backup & Compress" is a best choice. It will down size the photos with lossless compression. 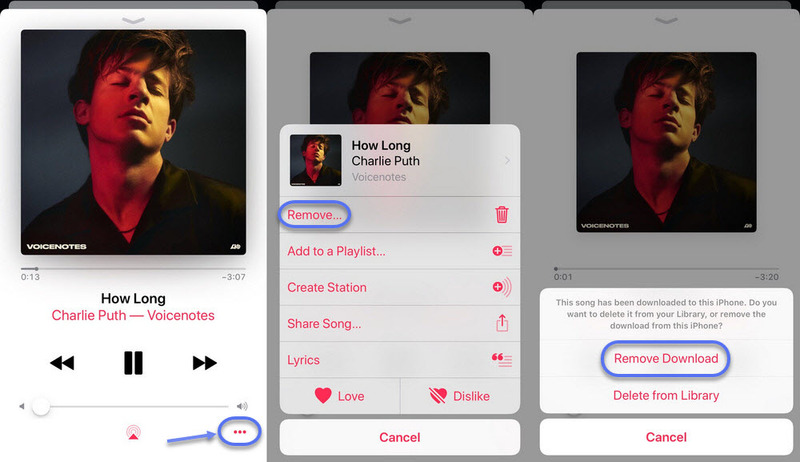 Choose the songs/albums that are no longer important and delete them to save a lot of space. Select the song you want to delete, then tap three dot setting botton. You can save valuable files to your PC/iTunes with iMyFone TunesMate. 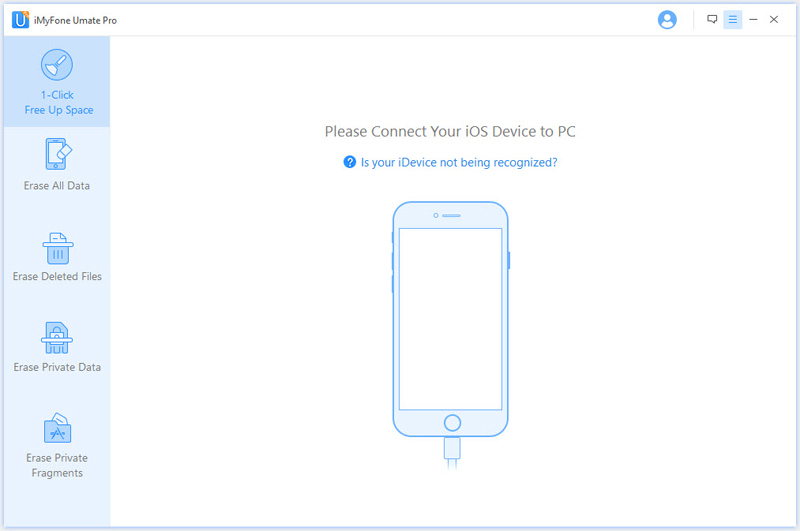 Check how to transfer music from iPhone to PC here. While you may see many sideways to delete apps and cache to clear storage on iPhone, nothing works as effective as Umate Pro. It not only deletes everything permanently but also gets rid of the cache and temporary files that normal deletion never deletes. Quite easy to use, Umate Pro is trusted by numerous iPhone users who have reviewed it positively after doing their research. So, are you looking to permanently delete apps, photos, videos, etc. of your iPhone and sustain your privacy? If yes, try Umate Pro now and we bet, you will definitely recommend it further to your near and dear ones.